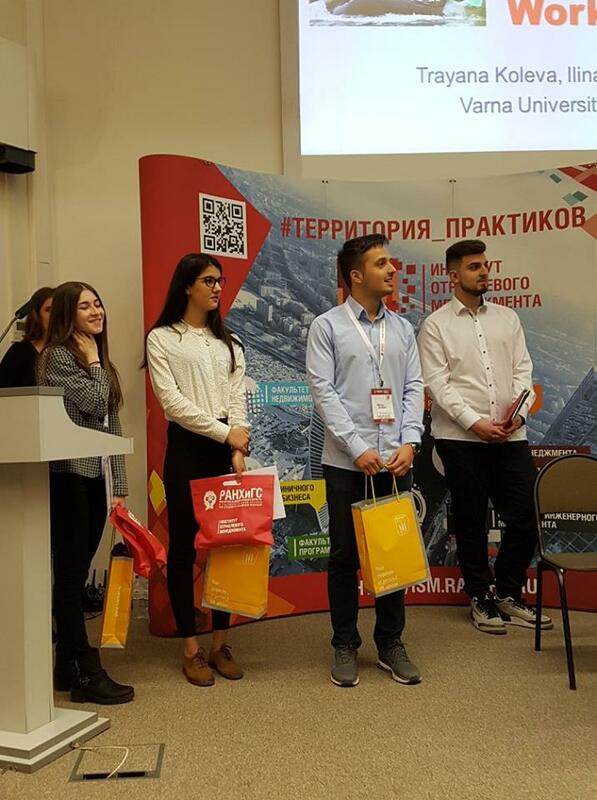 Three students from Varna University of Management (VUM) together with Prof. Vesselin Blagoev (Deputy Rector) presented in front of over 200 participants their research themed “Teamwork and Group Leadership”. 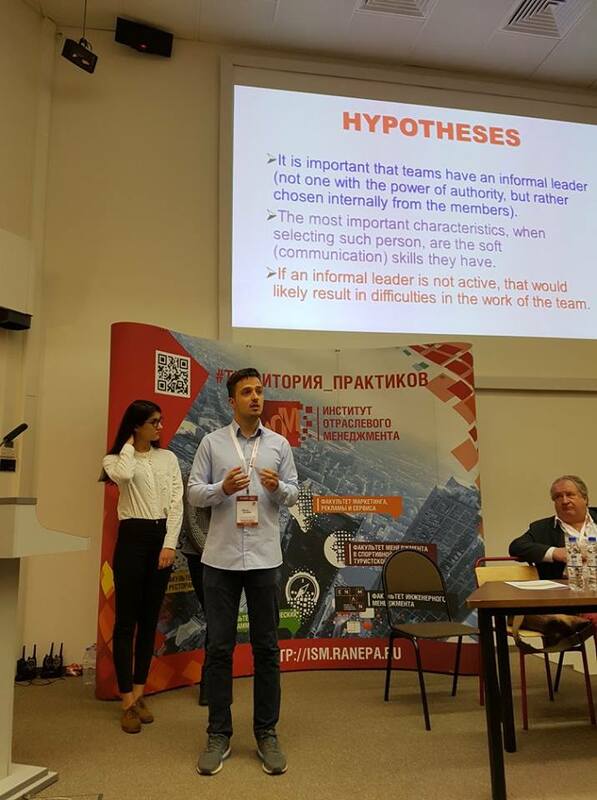 The youngsters demonstrated their results at a scientific conference in Moscow, organized by the Russian Presidential Academy of National Economy and Public Administration– a partner of the university. 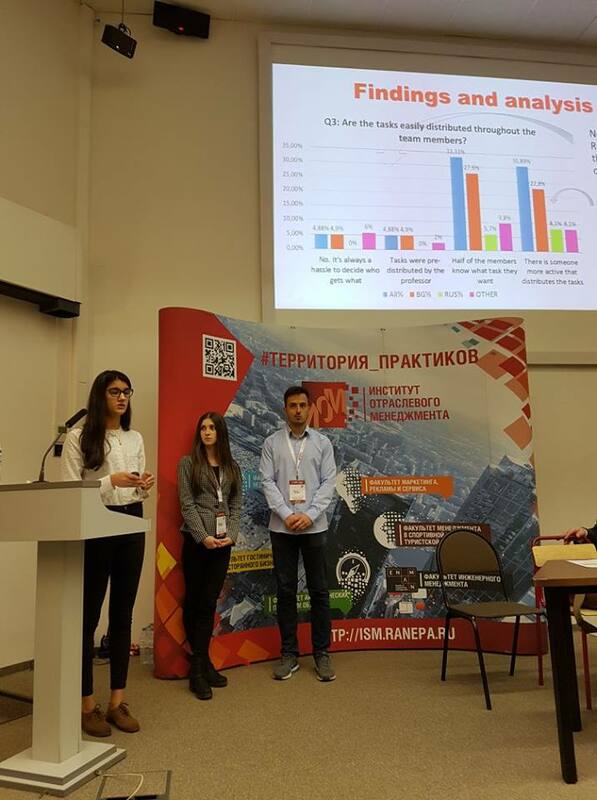 During their presentation, Trayana from Gabrovo (Software Engineering student), Simeon from Dobrich and Ilina from Sofia (students in International Business and Management) attracted the attention of the participants from Spain, Poland, Serbia, Russia that the data they presented were a real research among a total of 121 students. Their report was the only one made with a real numbers and its analysis, with which the youngsters grabbed the interest of the teachers involved in the event. The results of the study are according students from Bulgaria, Russia, Nigeria, Great Britain, Morocco, Ukraine, Turkey, Ireland, Afghanistan, Azerbaijan, France, Lebanon, Pakistan, Vietnam. According to the results from the youth survey, when working in a group, students identify an informal leader.